The originator of the Yang-style Tai Chi Chuan was Yang Luchan (1800-1873) from Yongnian in Hebei Province. 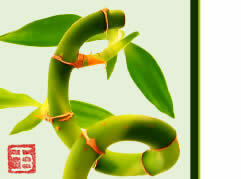 Yang went to learn Tai Chi Chuan from Chen Changxing in the Chenjia Valley as a boy. When grown up, he returned to his native town to teach the art. To suit the need of common people, Yang Luchan made some changes, and dropped some highly difficult moves, such as force irritating, broad jumps and foot thumping. His son shortened the routine which was further simplified by his grandson. The grandson's form of the Yang-style Tai Chi Chuan was later taken as the protocol of the Yang-style Chuan. Because of its comfortable postures, simplicity and practicability, this form has become the most popular routine for exercise and practise . 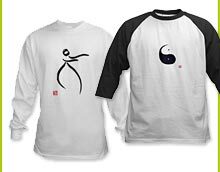 The Yang-style Tai Chi Chuan features agreeable movements and actions combining hardness, softness and naturalness. When practising, practitioners should relax to form softness which transforms into hardness thus combining the hard and the soft. 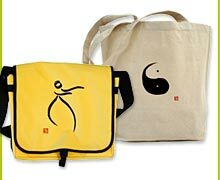 The Yang-styk Tai Chi Quan is divided into three sub routines, namely high-posture, middle-posture and low-posture routines all with comfortable and agreeable movements and actions. The Yang Style Tai Chi Chuan was known by the name "Da Jia" ("big frame").